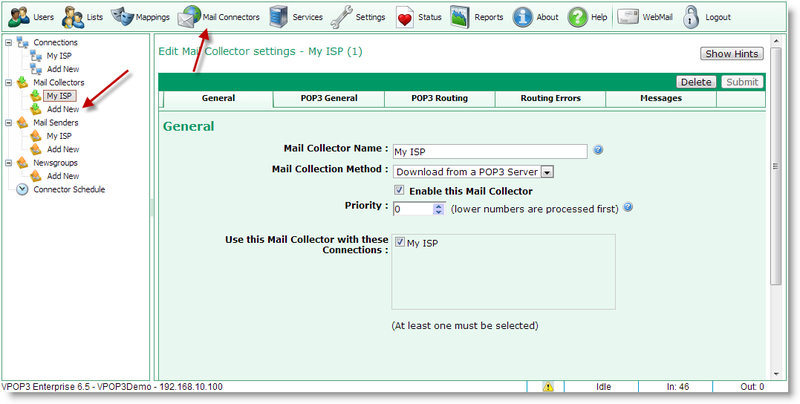 To add a Mail Collector, click on the Mail Connectors button on the top of the VPOP3 settings screen, then press Add New in the Mail Collectors section at the left of the screen. This will bring up a Wizard which will take you through the configuration of a new Mail Collector. All the settings made by the Wizard can be altered later by editing the Mail Collector. In Mail Collector Name, type the name you want to use for this Mail Collector. The actual value does not matter, but it will be used by VPOP3 in status & error messages, so it is best to make it something meaningful - such as the name of your Internet provider or email account. 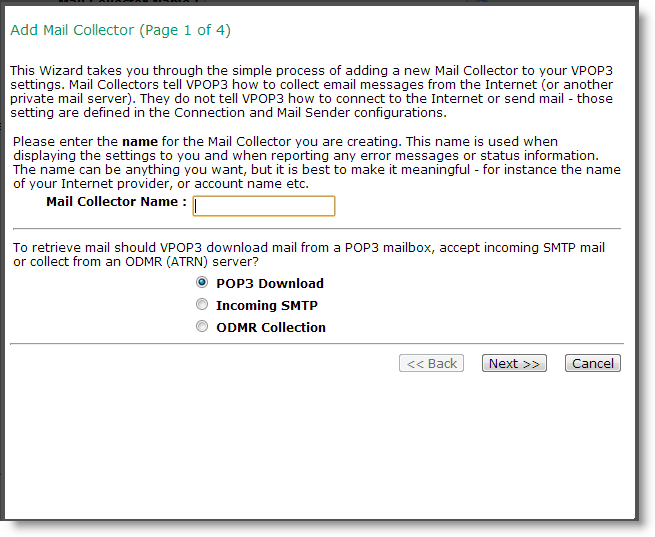 In the next section, choose whether this Mail Collector will collect mail from an external POP3 mailbox, or with a polled SMTP connection, or using ODMR (also known as ATRN).